2 weeks ago, I missed posting one day because I was too busy making a cake. Well, the same thing happened yesterday. This time, it was a giant cupcake! This was for my friend's birthday party last night! I am going to have to make one of these for everyone's birthday I think. Too cute. Here are the nails I sported for the party! I love these colors shining through the shatter! The nails, and the cake, were a hit! Not sure which is more awesome the giant cupcake cake or the nails. They both rock! So cool! Ilove those big cakes! 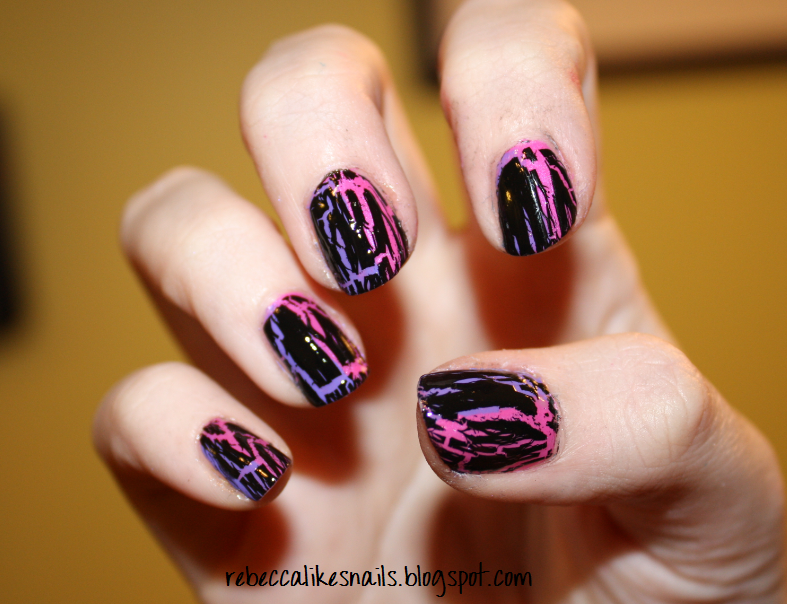 And I might have to try this mani--cool idea!